Provide comfort for the family of Shirley Bentley with a meaningful gesture of sympathy. 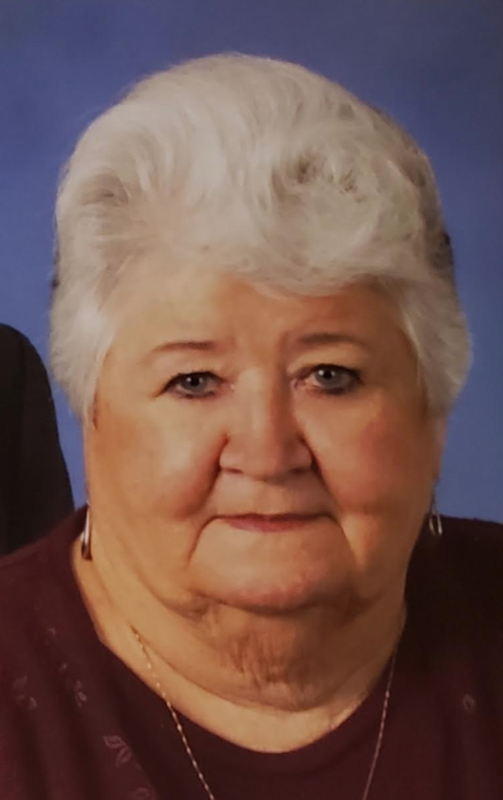 Shirley Ann Bentley, 83, of Gray Court, went to be with her Lord on Monday, March 11, 2019. Born in Greenville, she was the daughter of the late Frank and Willie Mae Williams. She is survived by her sons, Jack (Joe) Bentley (Kim, who was her one and only daugther), and Derek Bentley (Stacey); her grandchildren, Lonnette Mayer (Jon), Michael Bentley (Keri), Ashley Bentley and Jennifer Stuckey; her great grandchildren, Max Mayer, Hunter Aiden Stuckey, Alyssa Mackenzy Stuckey, Layla Hanley, Aleigha Colditz, Kirra Ray, Trinity Elizabeth Bentley, Kaylee Madisyn Bentley, Alaina Grace Bentley and Lillia Faith Bentley; her nieces, Sharon Albertson, Renee Eberly, Angie Whitman and her nephew Keith Eberly; her step brother Thomas Williams and her brother in laws, Smokey Bentley (Pat) and Arthur Bentley. She was preceded in death by her loving husband of 52 years, Jack Bentley; her sons, Michael Wayne Bentley and Roger Dale Bentley; her sister, Lulu Mae Eberly; and her grandson, Johnathan Morris Bentley. Shirley first and foremost loved the Lord. Her next greatest love was for her family. She was a devoted wife, mother, grandmother and great grandmother. She lovingly raised not only her own children, but also two of her grandchildren and one great grandchild. If you needed her on a Friday night, Shirley could be found at her Friday night card games. She did not mind the South Carolina heat, she would just dress for the occasion which sometimes meant mowing the lawn in her bikini. Her grandsons will lovingly remember the time she thought all of them needed a perm. She will be remembered for her loving, but feisty spirit. All who knew her loved her and she will be greatly missed. The Graveside Service will be held on Friday, March 15, 2019 at Greenville Memorial Gardens at 7784 Augusta Rd, Piedmont, SC 29673 at 11:00 am. To send flowers to the family of Shirley Ann Bentley (Suttles), please visit our Heartfelt Sympathies Store. We encourage you to share any memorable photos or stories about Shirley. All tributes placed on and purchased through this memorial website will remain on in perpetuity for generations. Provide comfort for the family of Shirley Ann Bentley (Suttles) by sending flowers. I would like to express my sincere condolences to you and your family on the loss of your beautiful mother and grandmother. When you see somebody who has been able to achieve such a long and full life as Shirley has, it may make one wonder why does man have to die at all. May God give your family the strength needed to endure this difficult time. Soon God will use Jesus to end all suffering including the pain you are feeling right now and "he will wipe out every tear from their eyes and death will be no more neither will mourning nor outcry nor pain be anymore" is a personal promise from God found at Revelation 21:4.